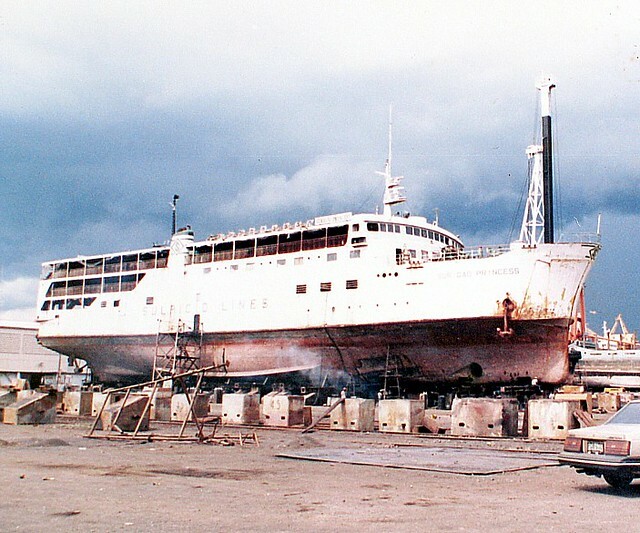 The liner “Maynilad” of William Lines was named as such because she was the replacement ship for the liner “Manila City” (the second in the fleet to hold that name) which was destroyed by fire in a Cebu shipyard on February 16, 1991 and which was subsequently broken up in 1992. 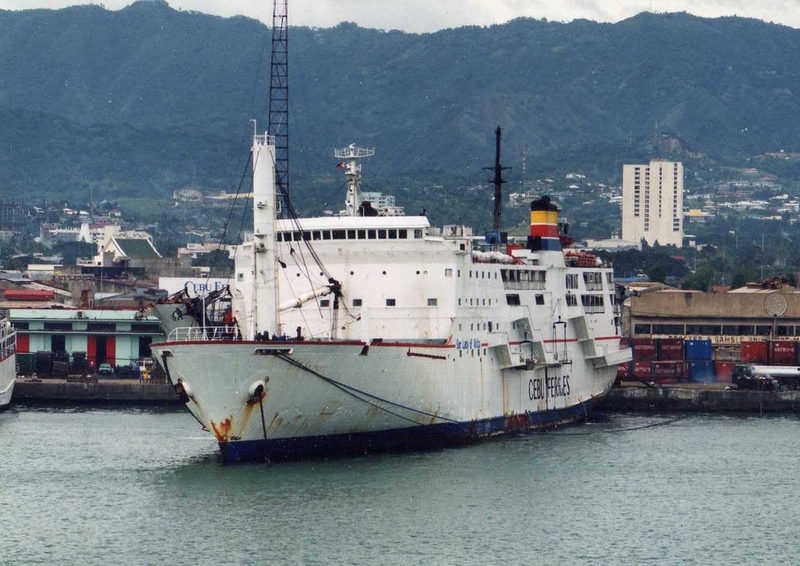 “Manila City” was the cruiser-liner that held for William Lines the Manila-Davao route from 1977 until 1991 when the fast cruiser wars happened in the routes to Davao. So when “Maynilad” succeeded in that route it was not really a surprise. There was a surprise, however. 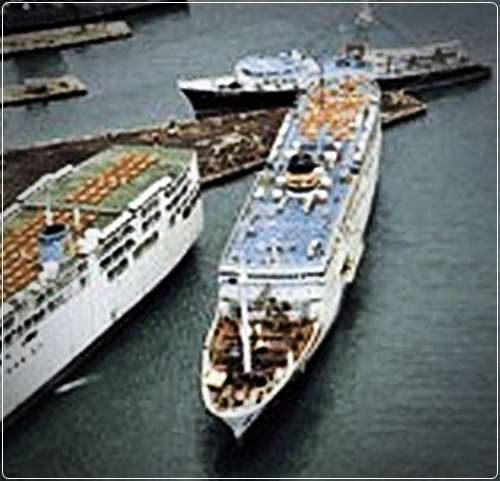 While the second “Manila City” was a fast cruiser capable of over 19 knots service speed especially when she was newly-arrived, the “Maynilad” was only capable of a little over 14 knots, a speed no longer acceptable for liners of the 1990’s. And to think her sister ship “Mabuhay 2” which came a little bit later in 1993 but which was capable of 17.5 knots service speed. “Maynilad” was born as the “Akatsuki” of A” Lines of Japan. She was built by Towa Shipbuilding in the Shimonoseki shipyard. She was launched on May of 1981 and completed on July of 1981. Her measured length over-all (LOA) was 140.5 meter with a moulded breadth of 20.5 meters with a Depth of 7.1 meters. Her original Gross Registered Tons (GRT) was 4,997 and her Deadweight Tonnage (DWT) was 3,128 and her original passenger capacity was 1,032. “Akatsuki” had only 10,200 horsepower from her two Niigata engines and her maximum speed when new was 18 knots. Her unique IMO Number was 8106630. In 1992, “Akatsuki” came to William Lines of the Philippines to become the “Maynilad”. In refitting two passenger decks were added to her passenger capacity rose to 2,511. Her new GT (Gross Tonnage) was 6,835 and her NT (Net Tonnage) was 4,059. Her DWT was 2,800 and her Depth was 11.9 meters. 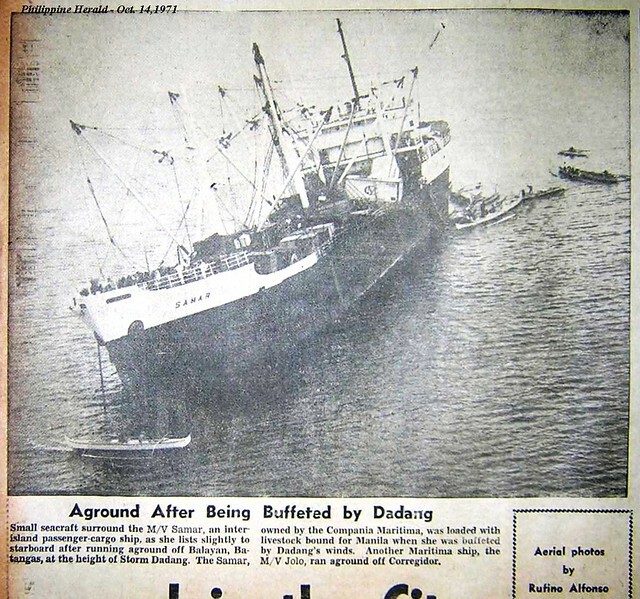 Her route was Manila-Zamboanga-Davao. Most liners of the era would pass by Iloilo and/or General Santos City but with her lack of speed “Maynilad” cannot afford that. 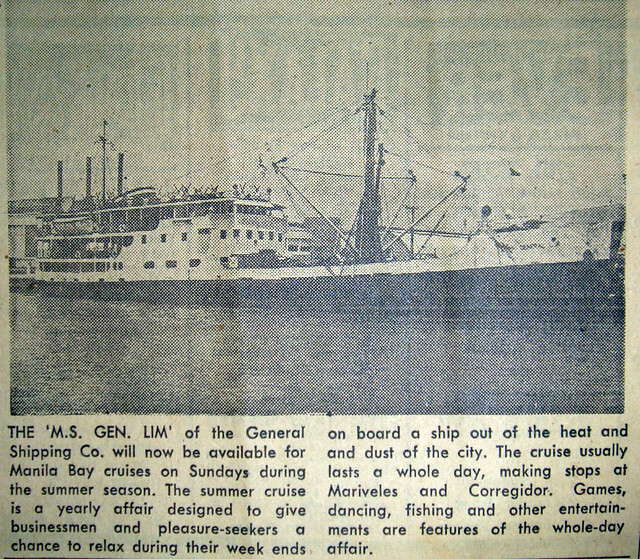 “Maynilad” was one of the tallest liners around with five passenger decks. Her accommodation classes ranged from Special Suite, Suite, First Class Cabin for 6, De Luxe, Special Economy and Economy. Like other A” Line ships of the era, the former “Akatsuki” had cargo booms at the bow or front of the ship and a RORO ramp at the stern or rear. Unlike her sister ship “Mabuhay 2” this cargo loading arrangement was no longer changed. One disadvantage of that aside from the slower loading/unloading rate was the ship swayed every time a container van was lifted by the cargo boom and this was felt by the passengers that already boarded. With her slow speed for a liner one feedback from passenger of the era was the very long time without seeing port as the Manila-Zamboanga transit time took 37 hours and the Zamboanga-Davao leg took 23 hours. However, she was comfortable enough for liners of the era except when compared to former deluxe liners from Japan. Moreover, especially in William Lines livery she looked good from the outside. With the merger of William Lines, Gothong Shipping and Aboitiz Shipping in 1996 that created the William, Gothong & Aboitiz she came to the WG&A fleet. Although big and with accommodations good enough she was not renamed a “SuperFerry”. When I asked why the reason given was her lack of speed. Meanwhile, her sister ship “Mabuhay 2” became the “SuperFerry 7”. 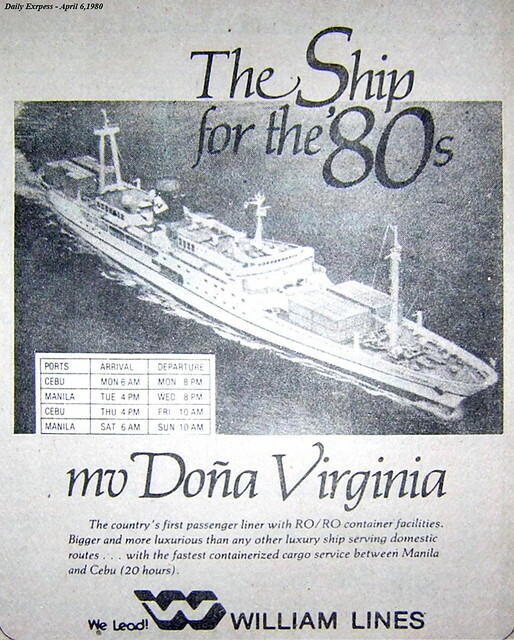 In the WG&A fleet she initially retained the Manila-Zamboanga-Davao route. Soon, however, she was removed from that route when faster liners was fielded by WG&A in that route including the new route passing through the eastern seaboard of Mindanao. She bounced through routes where speed was not a premium but there was really no good fit as those routes usually have a smaller traffic and “Maynilad” has a big passenger capacity. 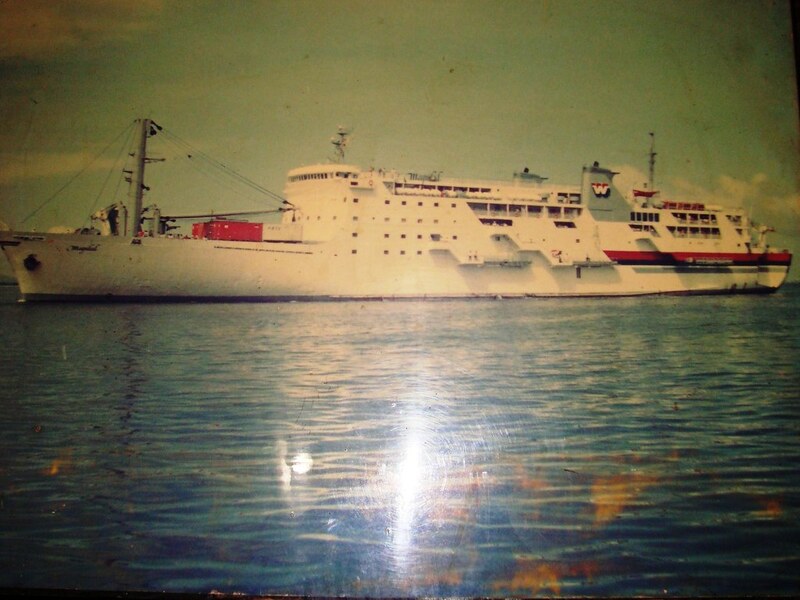 She was too big for the routes of Cebu Ferries and soon in 1997 she was advertised for sale together with six other ships of the fleet. There were no takers especially since her tag price was high especially if compared to her Gross Tonnage. 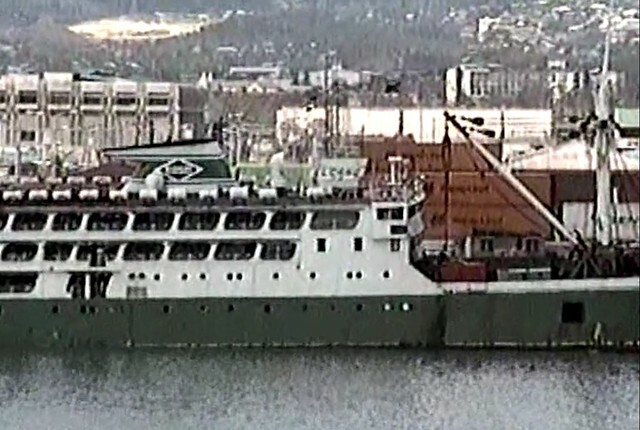 When WG&A and Cebu Ferries Corporation (CFC) culled ships in 2000 she was initially transferred to Cebu Ferries and she was renamed the “Our Lady of Akita 2”. This name change caused confusion including in maritime databases. There was a former “Our Lady of Akita” which became the “SuperFerry 6” which was burned and lost in the same year. However, she was not a good fit in the CFC routes like the “Our Lady of Banneux” which was also handed down to the CFC fleet as they were simply too big for the routes being full-pledged liners. Soon she was packaged for sale to China along with many other WG&A/CFC ships that included container ships so the Chiongbian and Gothong families who were divesting divesting then from the merged shipping company can be paid. 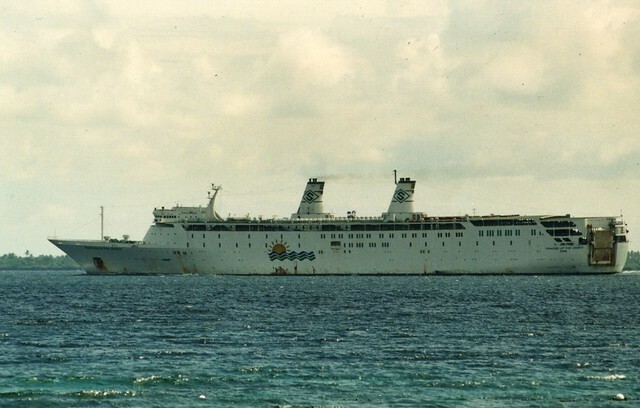 In September 2003, the former “Maynilad” was broken up in China, a sad end for a ship barely over 20 years old in age and with a service less than a decade in the Philippines if her lay-up period were deducted. Ultimately, her lack of speed, which was a big consideration in WG&A, lessened her use and eventually doomed her.